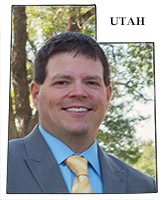 Lee & Brown, LLC is happy to announce that Member Joshua Brown is now licensed in Utah and he is ready to show Utah how Lee & Brown does defense. With a focus on representing insurance carriers and employers in Workers’ Compensation, Employment Law and General Liability Claims, Josh has been practicing in the state of Colorado since 2005 and has successfully defended matters arising under the Americans with Disability Act (ADA), Title VII of the Civil Rights Act of 1964, the Age Discrimination and Employment Act (ADEA) and the Fair Labor Standard Act. 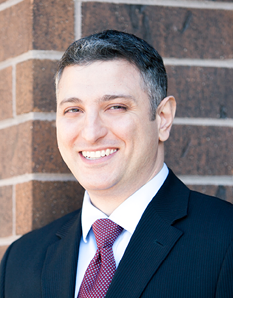 Josh regularly counsels clients on the spectrum of employment issues, with the goal of avoiding litigation. He also advises and assists employers in developing and enforcing proper employment contracts and policies, employment handbooks and compensation agreements. If you have insurance defense claims in the state of Utah, Lee & Brown is who you want on your team. Every year, Super Lawyers evaluates lawyers across the country for its annual list of top attorneys. Each candidate is measured against 12 indicators of peer recognition and professional achievement. The “Top Lists” take exclusivity one step further by featuring selected Super Lawyers attorneys with the most total points earned. 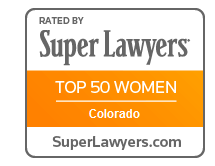 We are proud to announce that Member Katherine Lee was recognized for the 2nd consecutive year as one of Super Lawyers Top 50 Women in Colorado. Member John Abraham successfully withdrew an admission for medical maintenance in Jehle v. Walmart Associates, Inc. Claimant sustained a minor back injury in 2004 from picking up a one-pound box of cups. Claimant had been receiving Grover medical treatment under a January 30, 2006 FAL, admitting for post-MMI medical treatment, with good benefit. Respondents sought to withdraw the FAL and terminate treatment on the theory that treatment was no longer causally related to the injury. 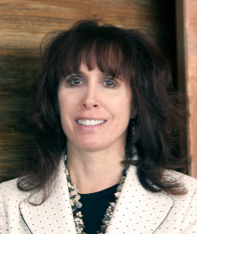 Dr. Cebrian and Dr. Reiss credibly testified that Claimant’s pathology and need for ongoing medical treatment was due to the natural progression of her preexisting degenerative condition. The ATP only opined that the current treatment was “in part” related with “some causality” to the 2004 injury, but could not assign any specific, or even approximate, percentage. Therefore, ALJ Spencer granted Respondents’ request to withdraw the admission of liability for medical treatment after MMI. In Rogers v. Family Dollar Stores, Of Counsel M. Frances McCracken successfully defeated Claimant’s attempt to overcome the DIME. In May of 2015, Claimant moved a box of inventory while working and felt radiating pain in her left elbow. 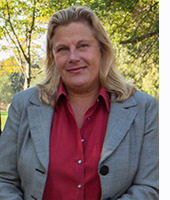 Claimant underwent carpal tunnel release surgery, but her condition worsened. Dr. Ghazi opined chronic regional pain syndrome (CRPS) and recommended treatment for same. Respondents’ IME Physician, Dr. Cebrian, opined that Claimant’s elbow was at MMI and that the carpal tunnel syndrome and neuropathic pain was non-claim related; he therefore opined that the recommended treatment was not reasonably necessary. He further opined the Claimant did not have CRPS, cautioned against the diagnosis of CRPS and suggested treatment as potentially harmful and not recommended in the medical treatment guidelines. The DIME Physician agreed with Dr. Cebrian that the only work-related injury sustained was an elbow strain, but felt Claimant was not at MMI for her work-related injury. He further opined that the carpal tunnel syndrome and complications following surgery for same were not causally related to the industrial injury. ALJ Jones ruled Claimant had not overcome the DIME physician’s opinion that the carpal tunnel syndrome was not related to the industrial injury and denied Claimant’s entitlement to ongoing medical benefits for treatment of same. This Deal Stinks. Must be Fraud: In Matus v. ICAO (January 31, 2019)(nfsp), Claimant attempted to reopen his settled claim based upon fraud and mistake because it did not adequately fund the MSA. The Court found no fraud because the MSA was based upon Claimant’s medical records and had been approved by CMS. There was no mistake as both parties knew the amount of the MSA when they entered into the settlement. The Court upheld the ALJ. Moral of the Story: To reopen for fraud, the petitioner must prove the party knew it was making false representation. To reopen for mistake, it must be proven both parties were mistaken at the time of the contract. Just Biding Time: In Garcia v. Swift Foods, W.C. No. 4-679-322 (January 8, 2019), Claimant suffered a back injury in 2005. He was placed at MMI and Respondents filed a FAL. 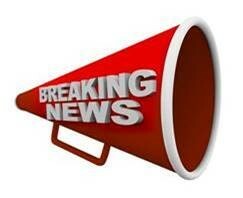 Claimant requested a hearing for petition to reopen and post MMI medical benefits. The parties stipulated “Claimant timely filed a petition to reopen”, and Respondents admitted for medical maintenance treatment. Four years later, Claimant filed another Petition to Reopen. Respondents asserted the Petition to Reopen was barred by the Statute of Limitations. The Panel affirmed the ALJ that found the Petition to Reopen was timely filed when it had initially been filed it four years prior and there was no indication in the Sstipulation that Claimant withdrew it. Moral of the Story: Use precise language in stipulations to assure claims are closed. A Little Extra TTD: Claimant was placed at MMI and started vocational rehabilitation. Respondents admitted for TTD benefits during rehabilitation. Claimant completed rehabilitation and Respondents filed a GAL terminating TTD benefits. The Panel upheld an Order from the Director that Respondents must give 14 days notice to Claimant before they can terminate TTD benefits following vocational rehabilitation. Thus, Claimant was entitled to 14 additional days of TTD. Kardisco v. Red Sky Construction, Inc., W.C. No. 4-931-411 (January 15, 2019). Moral of the Story: Once TTD is admitted, it can only be terminated in the specific ways enumerated in C.R.S. §.8-42-105. How Many Stops Does It Take to Get to Deviation? : In Satterfield v. RM Weiss Contract Sales, W.C. No. 5-069-072 (February 4, 2019), Claimant worked as a sales associate and required a set of binders for a presentation. He drove to Office Depot to obtain the binders. On the way to Office Depot, he stopped at the dry cleaner to retrieve several work shirts when he was involved in a motor vehicle accident. Respondents denied liability, contending the injury was a deviation because he was on a personal errand. ICAO affirmed the ALJ finding the claim compensable because the stop at the dry cleaner did not change the route the Claimant planned to take to arrive at Office Depot. The fact that Claimant intended to stop at the dry cleaner on the way to Office Depot did not sever chain of causation because, even if Claimant had no laundry at the dry cleaner, he had to take the same route to get to Office Depot. Moral of Story: An injury may be compensable when Claimant makes a stop while proceeding to an activity within the course and scope of employment, if the stop does not change the route Claimant planned to take. You Didn’t Like that Order? How About a Penalty on Top of It? 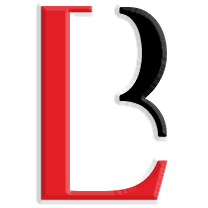 : In Lange v. Kern USA, W.C. No. 4-907-620-002 (January 18, 2019), Claimant sought review of an Order that assessed penalties for failing to abide by a prior Order directing him to repay an overpayment. At an initial hearing, the ALJ ordered Claimant to repay the overpayment at the rate of $50 per month. Claimant made no payments on the overpayment. Respondents sought hearing for penalties for failure to comply with the Order to repay the overpayment. The ALJ ordered a penalty of $2.00 per day. On appeal, Claimant contended the penalty was unreasonable. The panel noted that the ALJ had available to him a penalty range of 1 cent to $1,000 per day. Choosing to set the daily penalty at $2.00 was reasonable since the only alternative would be virtually no fine at all. Moral of Story: Do not ignore orders because significant penalties can be assessed for failure to comply with any order from the Director or ALJ. Substantial Evidence: In Henry v. Kaiser Foundation Health Plan, W.C. No. 4-978-452-06 (January 25, 2019), Claimant sought review of an Order that Claimant had not overcome the DIME. Claimant took issue with the ALJ’s interpretation of the evidence and used her appellate brief to re-argue the merits of the claim. ICAO held it had no authority to reweigh the evidence as this was the exclusive prerogative of the ALJ as the fact-finder. Moral of Story: The substantial evidence standard of review does not permit a reviewing forum to reweigh the evidence with a view toward determining whether, given the evidence as a whole, “a mistake has been committed” in the weighing of the evidence. Inconsistent Findings of Fact: In Martinez v. LKQ Holding Corporation, W.C. No. 5-007-076-001 (February 4, 2019), Claimant sustained a lumbar strain at work. He was placed at MMI and requested a DIME. Claimant returned to work and alleged a new lumbar spine injury prior to attending the DIME. The ATP found the subsequent incident was a “flare-up” from the first injury. But, the DIME determined the subsequent injury was a new injury. Claimant filed for hearing regarding compensability of the second injury. In the Findings of Facts, the ALJ found in the subsequent injury Claimant was working when he felt a pop and he “reinjured his back.” But, the ALJ also held the subsequent injury was a “flare-up” of the admitted claim. ICAO remanded the case because the ALJ’s Findings of Facts were contradictory as to the cause of Claimant’s subsequent condition and whether it was an exacerbation of the original injury or a new injury. Moral of Story: Claimant is entitled to medical benefits if the employment aggravates, accelerates, or combines with preexisting condition to cause need for medical treatment.